Centrally located to everything in Winter Park and only a mile away from OVIEDO! This desirable SINGLE STORY POOL HOME in the Autumn Glen community is super inviting from the moment you open the door. Flowing OPEN FLOOR PLAN features VAULTED CEILINGS, abundant natural light, plus easy care TILE FLOORS and NEW CARPET. The UPDATED KITCHEN is designed with the home chef in mind with QUARTZ COUNTERTOPS, STAINLESS STEEL APPLIANCES, plenty of cabinets, & a BREAKFAST BAR. SPLIT BEDROOM PLAN delivers a PRIVATE MASTER RETREAT with sliding doors leading to the lanai and pool area. All bedrooms showcase HARDWOOD FLOORS, adding to the appeal of this home. Gather with guests and enjoy family cookouts in the covered lanai plus spend sunny days lounging by the sparkling pool! **MODERN CONCEPTS include NEW EXTERIOR PAINT, NEW POOL PUMP, NEW A/C with SMART THERMOSTAT, UPDATED LIGHT FIXTURES, FRONT DOOR KEYLESS ENTRY, and more. (2018)** This home is located in the Autumn Glen community, offering access to a park, playground, 2 tennis courts, and walking paths with beautiful water views. 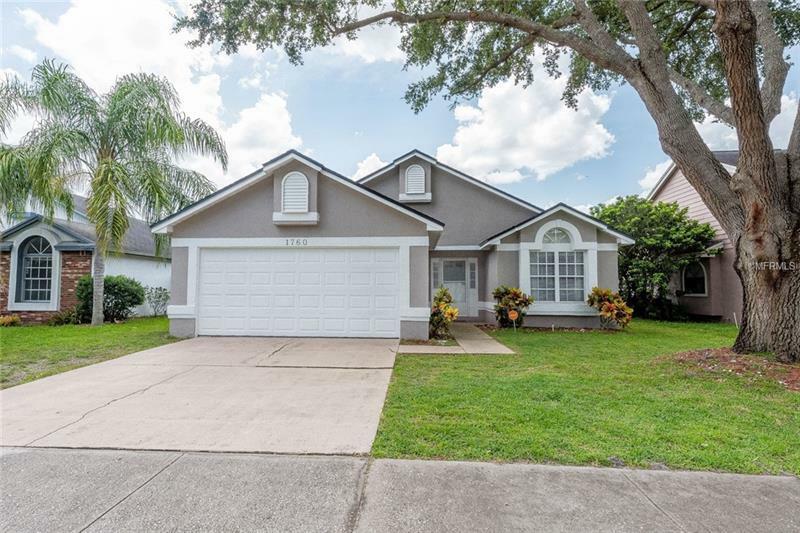 Conveniently located to Oviedo, Tuskawilla, & Winter Springs - plus enjoy easy access to 417, UCF, Full Sail University, Waterford Lakes Town Center. Less than 2 miles away from Red Bug Lake Park, offering soccer fields, tennis courts, fishing, playgrounds and picnic areas. Minutes from shopping, dining, and entertainment with easy access to HWY 417 and 436. Come home to this established community in close proximity to everything you need!